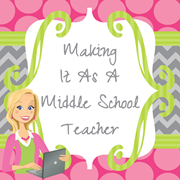 This blog will be about teaching math in the middle school setting and all the joy that goes along with it!! Please hang in there while I try to figure all of this out and get set up! You are off to a great start! It gets easier as you go along. I love your button at the top. do you have a code for it? 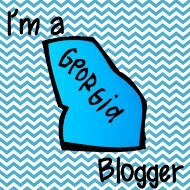 I'd love to add it to my blog! Good luck! Thanks,Amy! I'm working on my button,and I would love to share it with you when I'm done! In the meantime, I'm headed to your page to look for yours.